Express Entry Vs PNP - Which one is better to Apply for Canadian PR Visa? Express Entry Vs PNP – Which one is better to Apply to Secure a Canadian PR Visa? When it comes to applying for a Permanent Residency Visa in Canada, the skilled immigrants go all out to find the easiest and most relevant Canadian immigration program. The IRCC (Immigration Refugee and Citizenship Canada) has designed several immigration programs that offer PR in Canada to the selected applicants. However, choosing the right immigration program has been one of the key concerns for the immigration aspirants over the years. Express Entry System and PNP programs are the two of most common and popular immigration programs of Canada. Every year tens of thousands of aspirants apply in these two programs. Express entry is the Federal immigration program that accepts the applications for PR under skilled worker category. On the other end, the Provincial Nominee Programs (PNPs) are the separate immigration programs of the various provinces across Canada, i.e. SINP, AINP, OINP, BCPNP, etc. The PNPs run in coordination with federal government and accept the applications for PR visa from skilled workers and other category of applicants. Let’s find out more about these two programs to find out which one suits you the best. The Express Entry system of commenced in January, 2015 and after one and half year, it’s the most popular immigration programs of Canada. 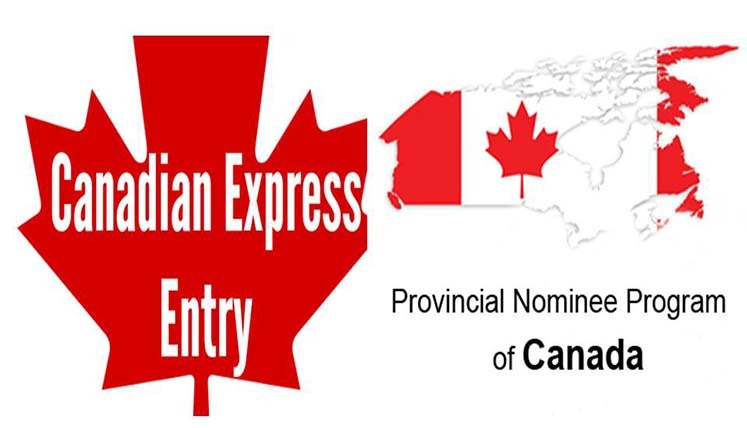 Today, a huge number of applicants apply for PR visa in Canada through express entry system. As already discussed, each province of Canada (except Quebec, as it has its own immigration program, i.e. QSWP) has its own provincial nominee program that runs in coordination with federal government. Which Immigration Program is better to get PR in Canada? Well, both the programs are good and popular among the immigrants. However, when it comes to choosing one among the two, the decision becomes difficult for an aspirant. Express entry is the fastest immigration program that claims to process application within 6 months. Moreover, you can immigrate to any of the provinces in Canada, if you are selected in Express Entry System. However, these days the qualifying mark of the EE system are quite high and if your total points score (CRS score) is low in express entry, you need to wait for a long time to get an invitation to apply for visa. On the other end if you apply in a PNP, you get many relaxations in the eligibility criteria including no job offer requirement in few of the provinces, which makes your selection relatively easy compared to express entry. However, if you are applying for PNP of a particular province, you are bound to stay and work in that province only, at least for initial years. Hence, it depends on your precedence and preference as to which program; you want to apply in order to get Permanent Residency in Canada. How Visas Avenue can help you apply in immigration to Canada? The Visas Avenue is a renowned Visa and Immigration Advisory Company in India. With its team of registered immigration experts, Visas Avenue help a huge number of applicants every year to move to Canada. To get best assistance in immigration process, you may contact Visas Avenue experts at contact nos. 011-48447777 (Delhi), 080-46668222 (Bangalore), or 040-42467777 (Hyderabad). You may also drop a mail at info@visasavenue.com in case of any immigration and visa related query. What is the point score needed to obtain Canadian PR Visa through Express Entry System?